Nothing says fresh and new like a fresh coat of paint and colour. Painting your space, home or condo with a new colour adds that pop and a whole new look, that’s inviting to come home to each day. Add a pop of colour to any room in your home with an accent wall or a.k.a. focal wall. Painting a room in one chosen colour and then adding a splash of colour like a bolder / darker shade than the other three walls adds an accent to any room. 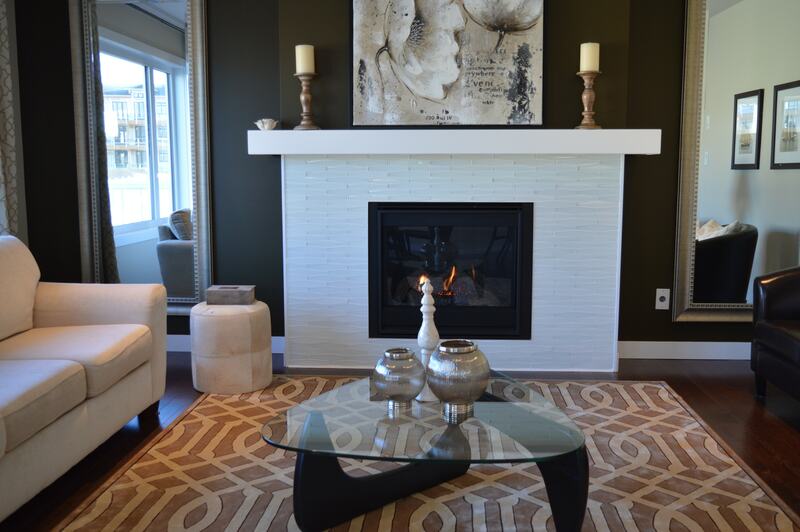 It adds a bit of contrast as well as a focal spot to showcase things like that special art work or a big screen t.v. 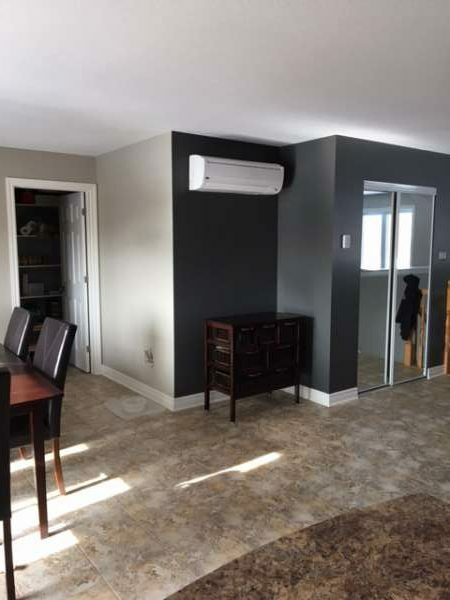 If you are considering to paint an accent wall consider the darker shade of the paint colour you already have or will have. For example as in the picture below, you’ll note there are two shades of gray used. 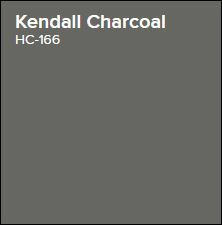 The accent or focal wall is painted with Kendall Charcoal from Benjamin Moore Paints. It is a deep, rich paint colour that adds that pop to the entrance of this home. 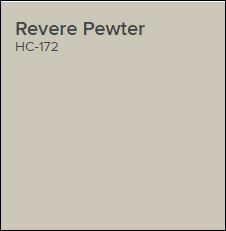 We then painted the remaining walls in Revere Pewter from Benjamin Moore Paints and painted the trim and baseboards in white. Either of these two shades of gray paint colours are very versatile and neutral in any home decor. 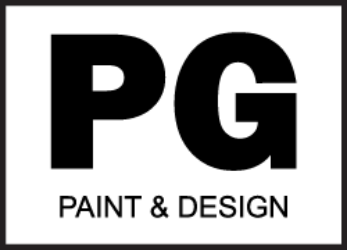 Painting with a bold or darker shade of any paint colour will enhance any accessories and furniture in the room. It can also enhance the way a room looks. It can be made to look bigger, more warm and inviting and set the mood and atmosphere to achieve the decor you were aiming for. Go ahead and add that splash of colour to a focal wall or entire room and add your personality. 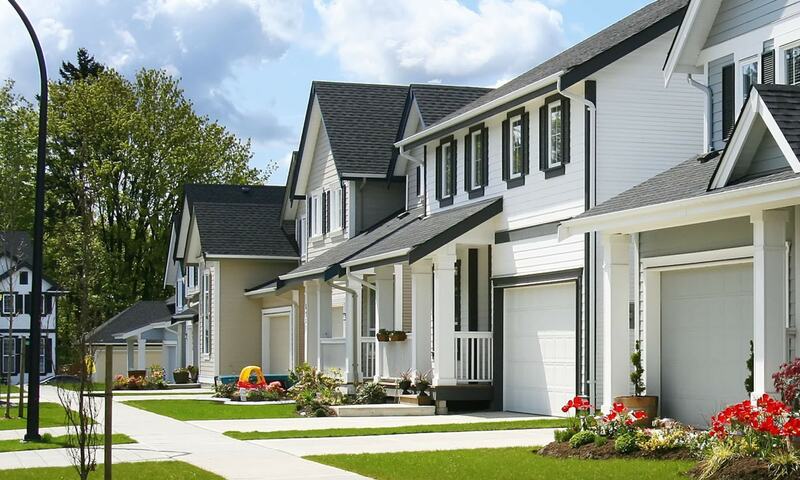 It will be an investment for you to enjoy for years to come, and if you are selling than you can definitely increase the value to sell faster. 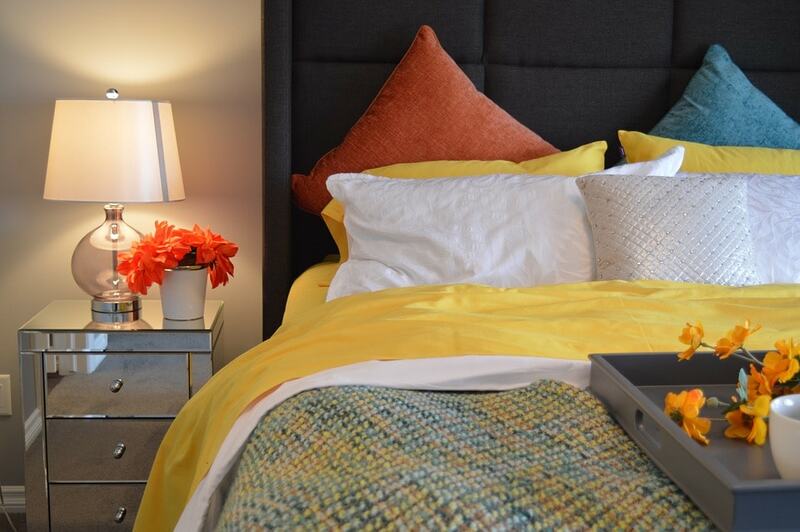 Read the Psychology behind The Colours we Choose in Home Decor Trends. Find out what and how colour has the power to affect our mood and Energy Levels so why not surround yourself in the right paint colour choices. 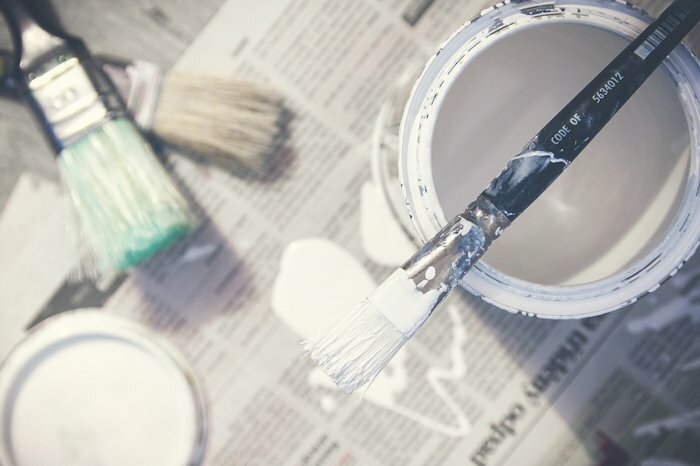 If you are looking for a fresh new look for your home, condo, apartment or space, and want to hire a painter, simply call us at (613) 656-5865 or contact us by email.